Our supplier of food packaging Faerch Plast UK Ltd will shortly launch a range of food packaging products manufactured from 100 per cent recycled PET material. From 1st January 2019, Faerch Plast will be manufacturing with material which is made from 100 per cent recycled PET, thereby significantly reducing the need to use virgin materials. This combined with its recently announced acquisition of the 4PET Group, the leading PET recycling company, Faerch Plast has succeeded in truly closing the loop on PET trays. Faerch Plast has become an integrated recycler of post-consumer food trays, which is great news for customers, consumers and society as a whole. 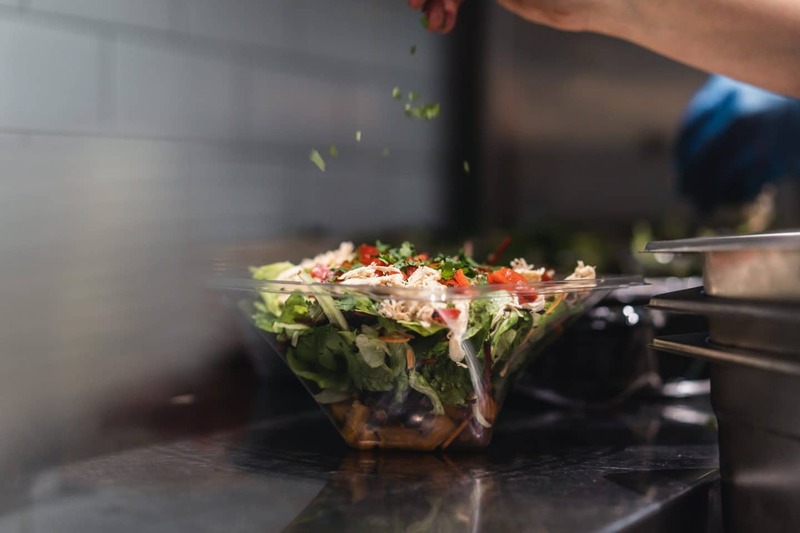 The Twisty Bowl range, a premium salad bowl offering, will be the first product to be launched by Faerch Plast in 100 per cent recycled PET, a range that is iconic to Faerch Plast and a design that continues to grow in popularity. Faerch Plast also recently signed up to the UK Plastics Pact, a bold and unique initiative set to transform the UK plastic industry. By bringing together the entire plastics value chain behind a common set of ambitious targets, the new Pact will move the company towards a system which keeps plastic in the economy and out of the environment. The Faerch Plast manufacturing facilities are 100 per cent powered by electricity from renewable sources and are part of Operation Clean Sweep to ensure zero plastic pellet loss during transport and production to contribute to clean oceans. Stay tuned for the launch of the 100 per cent recycled PET food packaging range in the new year. Our supplier Dart Products Europe has launched Solo® Event+® tumblers and lids, which are made from rPET.